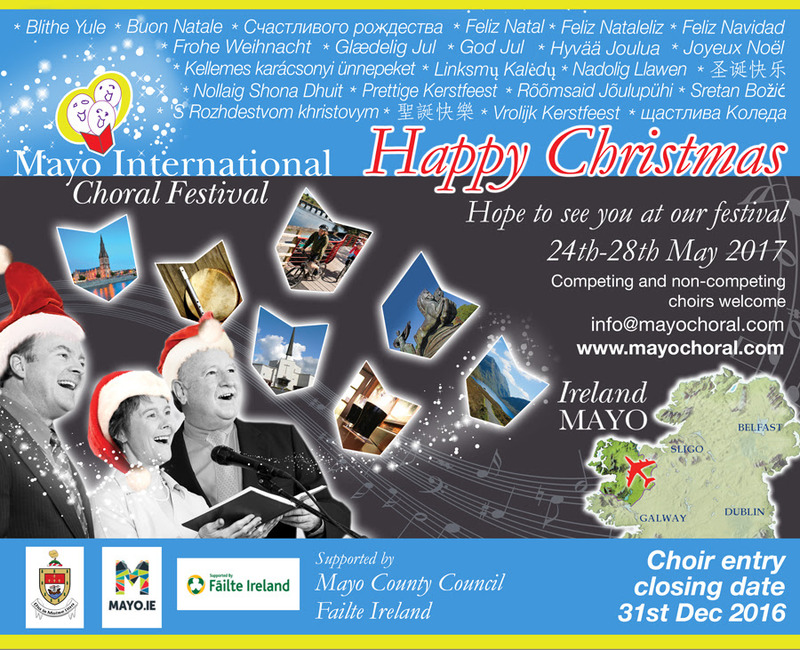 including choirs from Missouri and Wales. and to perform together with local choirs. and special guests - The Troubadours. Venue: Christchurch, Castlebar, Co. Mayo. Early booking advisable - ticket only. Venue: St Mureadach's Cathedral, Ballina. Venue: Breaffy Arena, Castlebar, Co. Mayo. Dates: 26th Dec: Matinee only, 5pm. 27th Dec.: Matinee at 2pm and evening 7.30pm. 28th, 29th and 30th Dec.: evening show 7.30pm.